Losing a large amount of weight can be a frustrating experience. After shedding 10 or 20 pounds in a few weeks you’re likely to hit a wall. In these moments you’ll need to follow a few simple tips to lose weight slowly and steadily. Focus less on shedding fat and more on creating a healthy lifestyle. Understand that each choice you make has a bearing on your overall wellness. Just make sure to speak to your doctor before starting any diet or exercise program. Follow these 3 tips to lose a large chunk of weight. Virtually every obese person who fails to lose weight picks a poor driver. All of the practical tips in the world won’t work for a poorly-motivated person. If temptation strikes you should know why you won’t eat the brownie or why you’ll go for your morning walk. Figure out why you want to lose weight to find your strongest motivator. Reasons range from being around for your growing family to boosting your self esteem. Make sure your reason is in fact, your reason. Some lose weight to gain approval from others but this driver almost always results in a failed weight loss campaign. If you don’t approve of yourself why would you expect anybody else to approve of you? Lose weight to be healthy for yourself first. Think about being healthy to be around for your family and friends so you can enjoy a full life together. Eat complex carbohydrates, proteins and fats to shed a large amount of weight. 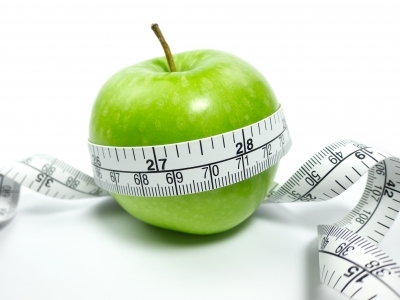 Dieting is a challenging ordeal for many individuals who need to shed pounds quickly. The trick lies in not following a Spartan diet if you’ve never dieted in the past. Slowly and gradually add leafy greens and fresh fruit to your diet. Cut out candy bars. Replace with apples. When you feel temptation building remember the reason why you want to lose weight. Would you rather suffer through diabetes or scarf down a package of cookies? Think about how your moment to moment choices mold your reality. Consume lean proteins like chicken breast and fish as well as complex carbohydrates like oatmeal and brown rice to cut your calories and to shed weight. Eat healthy fats like peanuts and cashews for high energy, satiating snacks. Gradually introducing healthy, low calories foods to your diet creates a caloric deficit. Taking in fewer calories than you burn accelerates weight loss. Walk 5 to 7 times weekly for 30 minutes per session. Exercising regularly boosts your resting heart rate, improves your mood and stokes your metabolic furnace. As your metabolism increases you’ll gradually burn more calories and lose more weight. Don’t push it. If you haven’t exercised for years take it slowly. Patiently stick to your daily walking regimen for a series of months before considering jogging or running. Walking is a low impact exercise which places little stress on overworked joints. Add 5 or 10 minutes to daily walking sessions over a period of weeks if you’re feeling motivated and energized. Accelerate your weight loss by considering lap band surgery.